This summer I welcomed a new brother into my home. Adorable, furry, curious, and smart, my new puppy won my affection instantly. 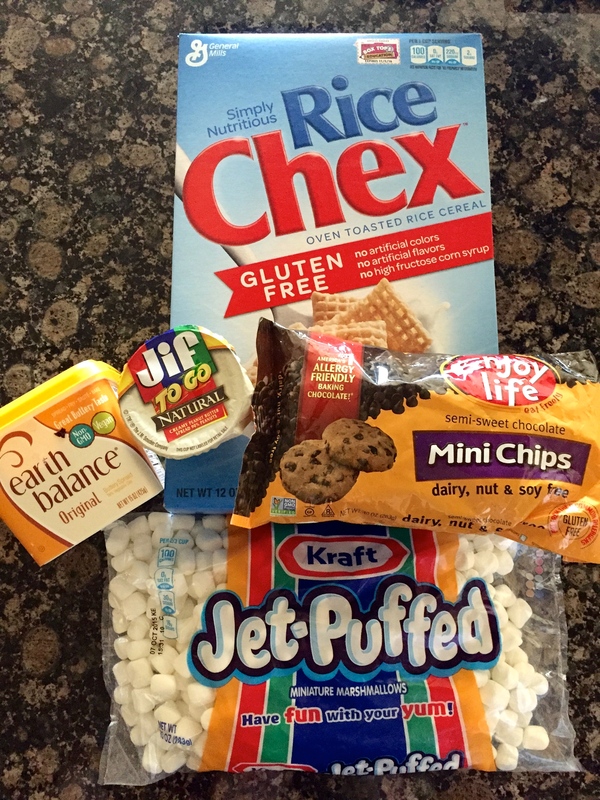 Always on the go, he made me think of a quick and easy gluten-free snack that I could make at school. “Puppy Chow” is usually a staple, eaten at holiday parties and snacked on anytime and anywhere. 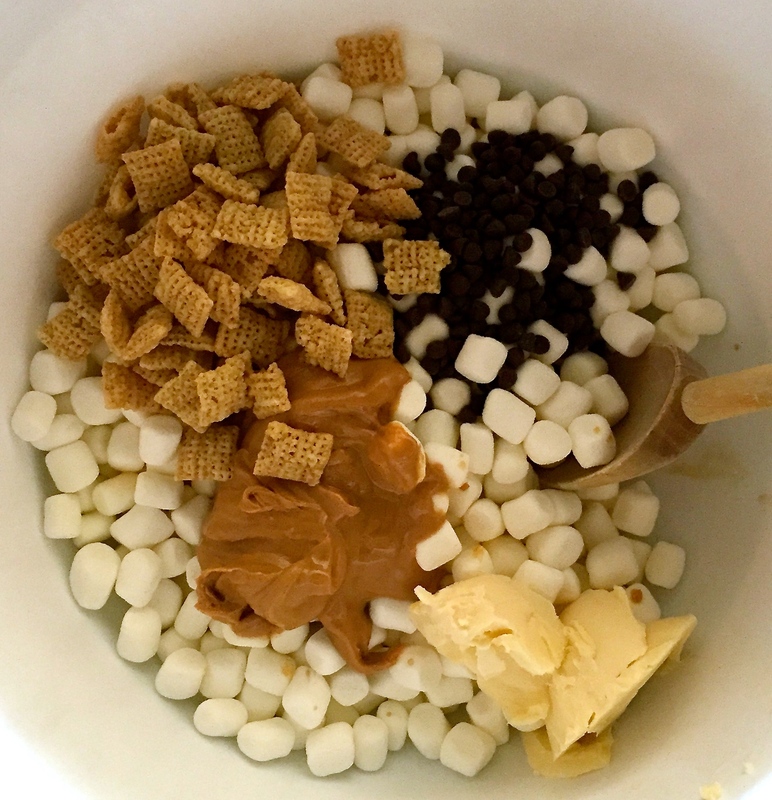 This easy treat can be made entirely in a microwave with very simple ingredients. The ingredients can all be found at Broadway Market and at Whole Foods. 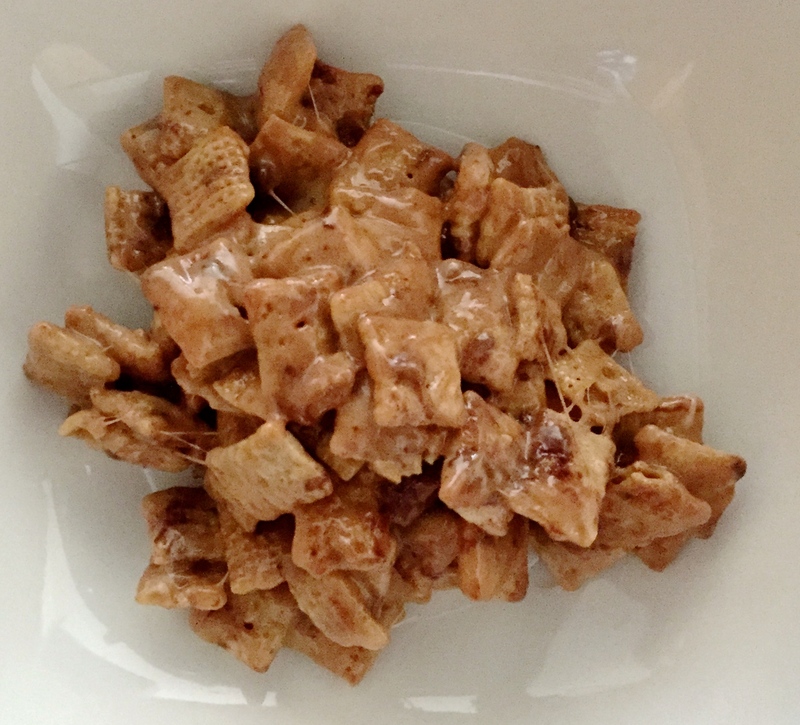 Sweet, crunchy, gooey, chocolaty, and delicious, “Puppy Chow” is an easy-to-make, satisfying snack that even my new puppy would love to try. Microwave butter, marshmallows, peanut butter, and chocolate chips. Stir every 2-3 minutes. Add Chex cereal. Mix together. Maybe it’s because I’m part Italian, or maybe it’s just because I love carbs, but pasta bolognese is probably my favorite meal. 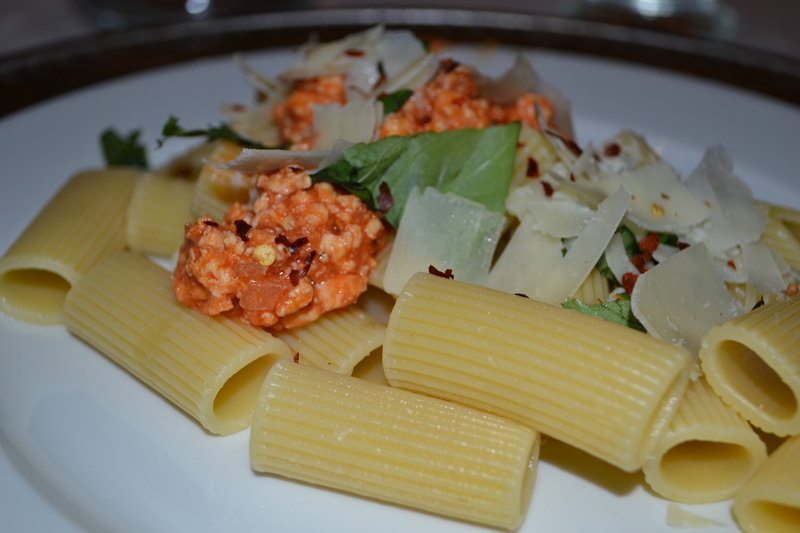 To me, nothing is more satisfying than a plate full of perfectly al-dente rigatoni smothered in a hearty, meaty bolognese sauce. When I first decided to try my hand at cooking in third grade, it was no surprise that I decided to make a bolognese sauce. 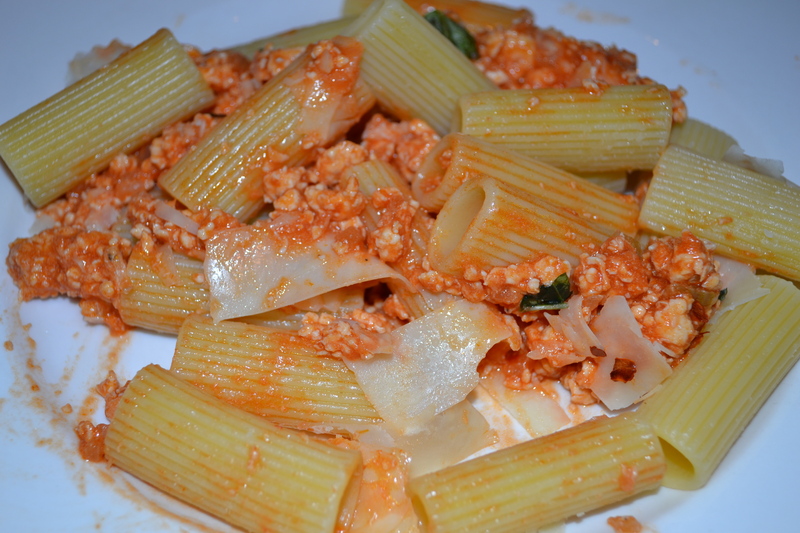 Since then, this recipe has become my go-to for a quick and easy dinner. If third grade me can make it, anybody can! Put the oil, onion, celery, garlic and a good pinch of salt and pepper in a saucepan over medium heat and cook for several minutes until golden. Add the prosciutto/panc etta and chicken, and stir constantly with a wooden spoon to break up any lumps. 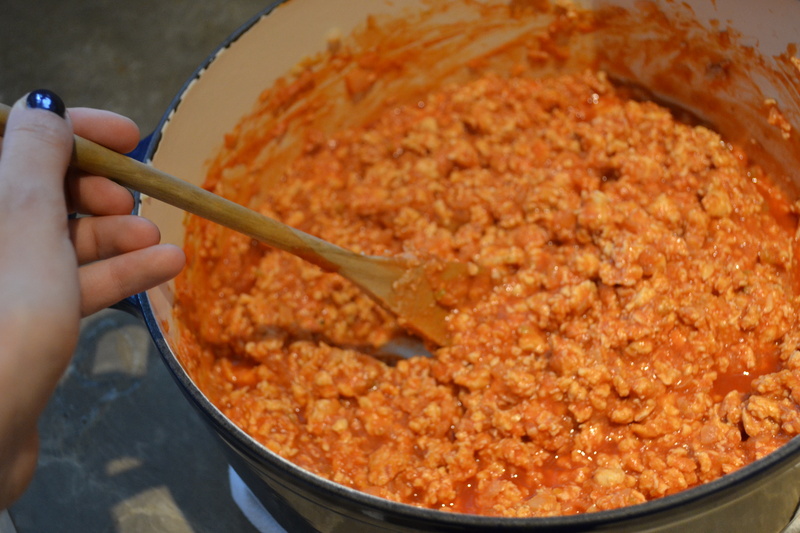 When the mince is cooked through, add the tomato sauce and simmer for ten minutes. Meanwhile, cook the pasta according to the directions on the box until al dente. Toss together with sauce, parmesan, and parsley, and enjoy!